“Buti” translates to a “cure that has been hidden or kept secret,” believing that the only true cure comes from deep within ourselves. 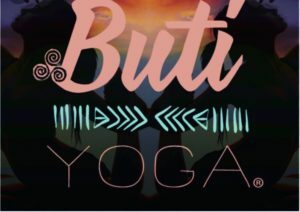 One of the premises in Buti is to draw on primal energies and movement to nurture our bodies and allow them to thrive. This energetic class is great for all levels, and is especially recommended for anyone looking to try a non-traditional yoga class!